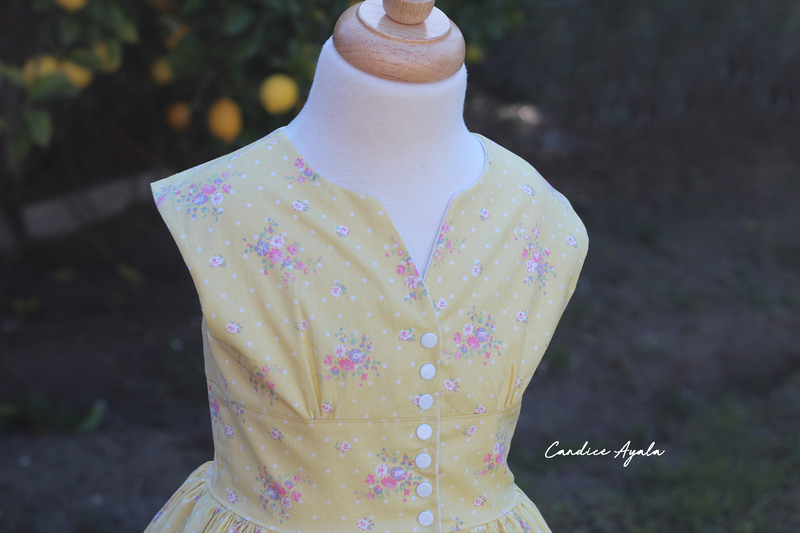 So, if you’ve been following me for a while, you know I adore and appreciate vintage style looks and patterns; so when I came across the Opal Dress, I just had to have it! It came together so beautifully, I thought I’d share a small review with you. We shot these photos on a really windy and cold day, so it was rather difficult, but we got a few good ones as well as some video footage below: Just press play! Opal vintage pattern is the epitome of the 1950’s fit & flare! 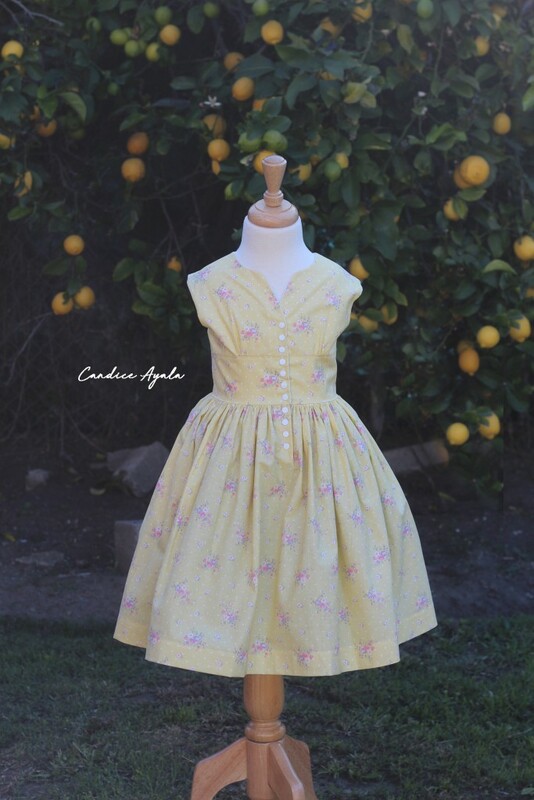 This sweet dress is full of vintage delicate details sure to impress! Opal has a classy tailored bodice with a full functional button front. Beautiful bust gathers, a feminine waistband, delicate neckline. Opal features a classic tea length & above the knee length. 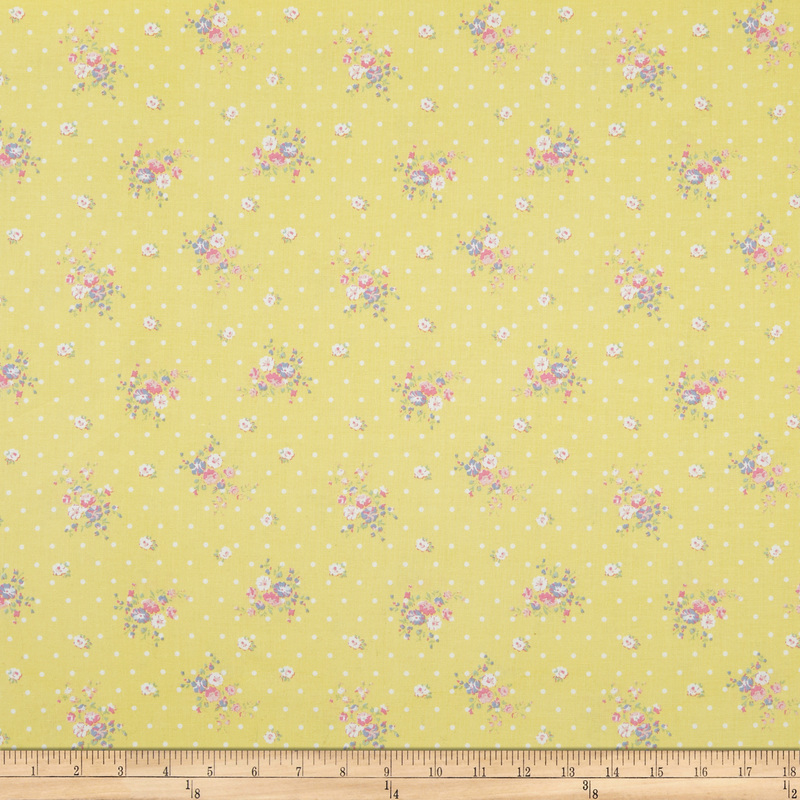 The last vintage touch to the Opal pattern is a stunning 2 1/2″ deep hem! – cited from website. 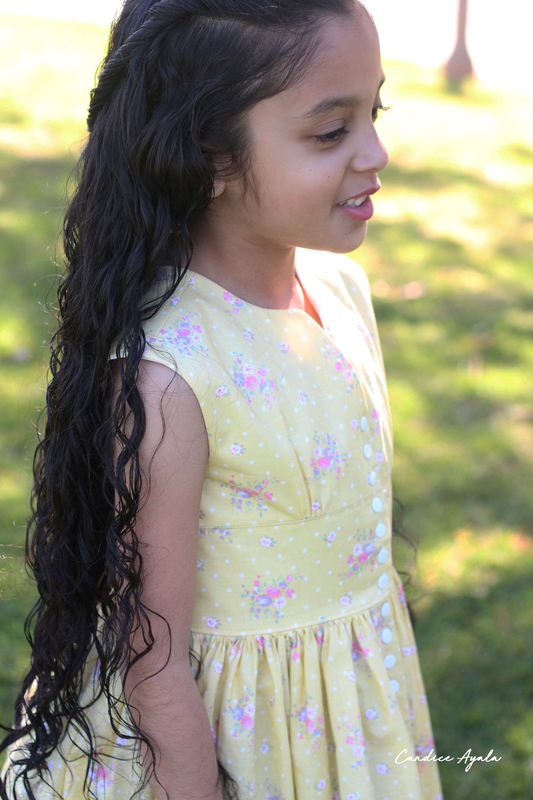 Pattern Sizing: Sizes 2T to 10 yrs. I made a size 5 determined from her height. Were the instructions easy to follow? Yes. 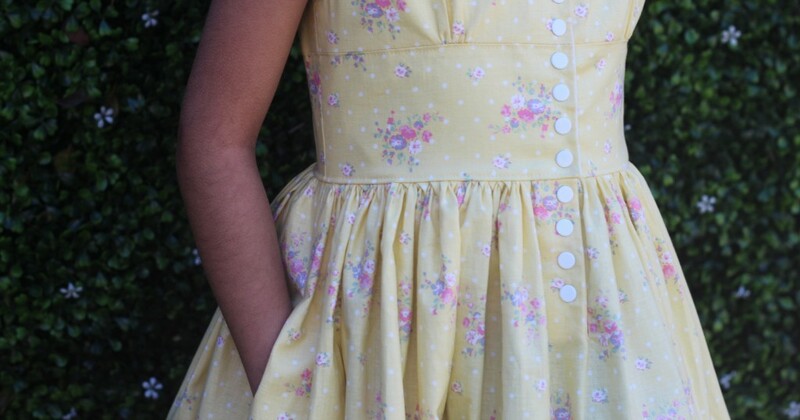 Pattern alterations or any design changes you made: I added inseam side pockets. What did you dislike about the pattern? Not a thing! What’s your favorite thing about the pattern? I absolutely adore the vintage look and style of the neckline and bodice. Where can I find this pattern? 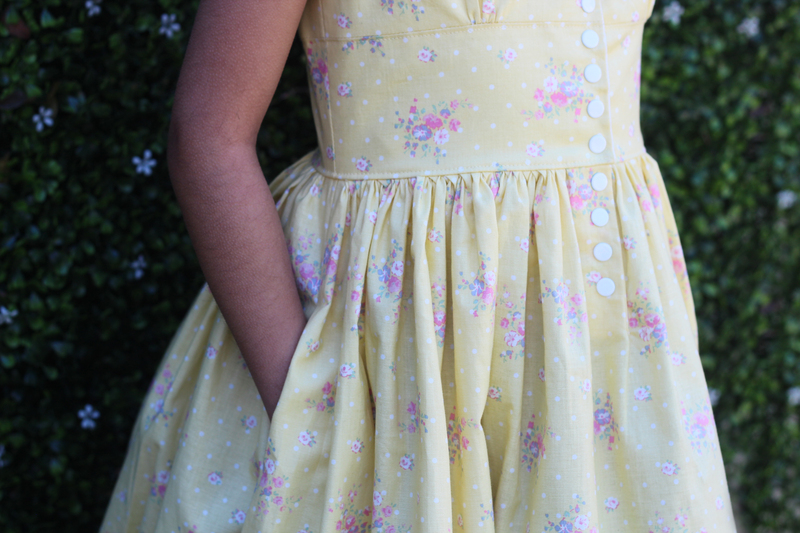 You can find the Opal Dress Girls HERE and Tween HERE. Oh! There’s also a matching doll pattern you can make for your child and her doll, HERE, or the Bundle complete with a bow pattern HERE. Would you make this pattern again? YES! I do want to do a really vintage style photoshoot to go with that old vintage suitcase I got from goodwill I posted about some time ago and this dress would be perfect. Anything you would do differently? Aside from adding the side pockets, No. And that’s it for todays post guys! Thank you so much for stopping by! Have a wonderful weekend! TGIF!